The Han Chinese are the largest ethnic group in the world, numbering well over one billion. Although the vast majority live in mainland China, many have immigrated to other countries, and today they reside in nearly every nation of the world. In a number of these countries, including Laos, Nepal, Tanzania, Cambodia, and Thailand, the Chinese communities remain unreached with the Gospel. The Han Chinese began fleeing to other countries in 1276, after the Mongol invasion. Many other upheavals and conflicts followed, and the Chinese continued to settle in other nations, particularly in Southeast Asia. Wherever they went, the Chinese settled almost exclusively in urban areas and became involved in business and commerce. Today, they are very influential in the economies of these nations, in spite of their being only a small percentage of the population. The Diaspora Han Chinese continue to live primarily in cities. In a number of countries, particularly the westernized nations, many are businessmen. Their businesses range from small shops to international corporations. They live in a wide variety of houses, ranging from small apartments to costly mansions. Most have retained their traditional Chinese diet. Rice continues to be their staple food and they generally prefer to use chopsticks as utensils. During the Japanese occupation of China during World War II, a nationalist movement began to grow among the Han Chinese who lived outside their homeland. The members of this movement began to support China vigorously. When the communists took over China in 1949, many of the Diaspora Han Chinese supported the revolution, not because they agreed with Communist ideology, but because they desired strong leadership and unity for their motherland. As a result, they became a source of concern for the governments of the countries in which they lived. Because the Diaspora Han Chinese had supported the communist takeover of China, the government officials feared that they would also support communist revolutions in their new homelands. Many Han Chinese who live outside of China have maintained their culture and language to varying degrees, depending on the country in which they live. 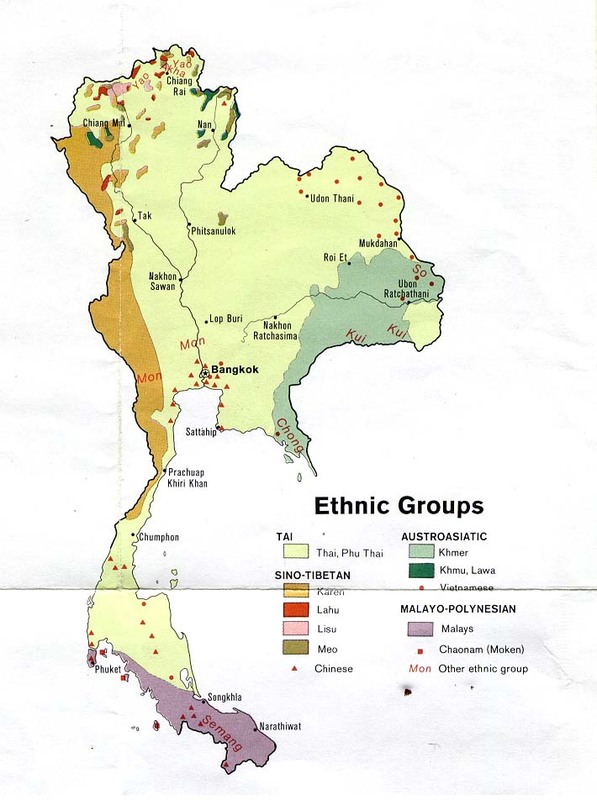 Except for those in Thailand, the Han Chinese continue to speak their various Chinese dialects. In most countries, the Diaspora Han Chinese have also continued living by their traditional Chinese customs, especially those regarding marriage and the family. One of the primary reasons they have kept their own languages and customs is because they have a deeply ingrained belief in the superiority of their culture. The Han Chinese treat their children affectionately and usually indulge boys more than girls. The children are pushed to do well in school and are given much time to devote to their studies. The Han Chinese are known for their politeness and will go to great lengths to avoid disputes. However, once a dispute begins it is very difficult to stop because the Chinese place a high value on "saving face". Giving ground in an open dispute would cause them to lose face, something the Chinese try to avoid at all costs. Diaspora Han Chinese have generally maintained their traditional Chinese religion, which is characterized by a blending of philosophies. It has added elements of Buddhism, Confucianism, and Taoism over the course of time. Their beliefs are centered on the concept of maintaining harmony. Although the Han Chinese still claim adherence to these beliefs, they seem to have little effect on their everyday lives. In fact, many are non-religious in practice. Diaspora Chinese are often mistreated in the lands in which they live. In some countries, anti-Chinese riots have occurred. In nearly all of the countries, nationals are envious of the Diaspora Han Chinese because of their success in business, commerce, and trade. * Scripture Prayers for the Han Chinese, Min Bei in Thailand. * Pray that the Lord will grant favor to missions agencies ministering to the Diaspora Han Chinese. * Pray that Christian broadcasts and evangelical literature will be effective tools for reaching Diaspora Han Chinese. * Ask God to use Christian businessmen to boldly share the Good News with the Han. * Ask the Lord to raise strong local churches among the Diaspora Han Chinese.